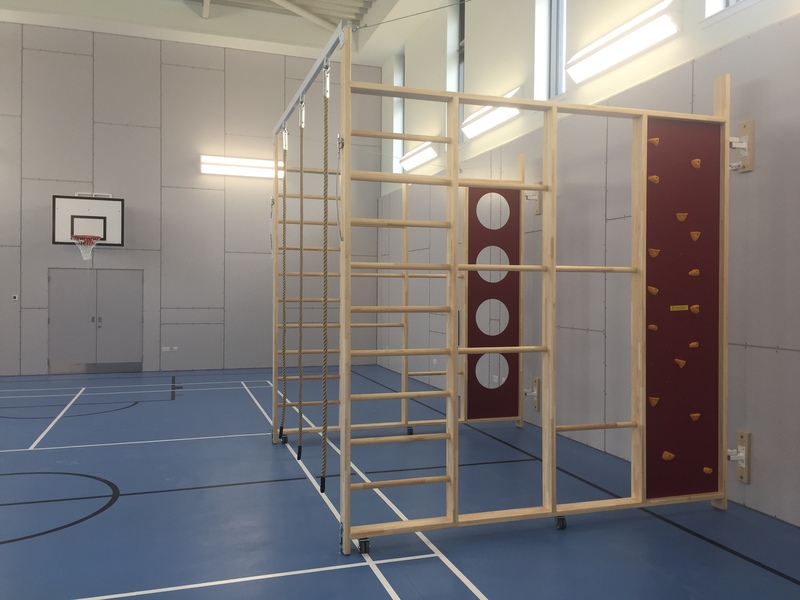 A standard item of gymnasium kit, this is the double 'Cave' Climbing Frame. Featuring oval wooden bars, the frame is now available with a range of new and exciting panel choices, shown below-left. Wall-hinged, with high level linking pole for the inclusion of 3 climbing ropes (optional). Various items of linking apparatus are available as optional extras. Available in 3050mm and 3600mm climbing heights as standard. Width approximately 9500mm. Panels project 3250mm from wall when in use.